Find hotel near Huis Marseille, Museum Fo ..
Huis Marseille, Museum for Photographyis basically a museum that displays some of the most amazing photographs that are sure to win your heart. Dutch & international contemporary photography is the order of the day and the destination sees many visitors each year. So visit the destination and get ready to be mesmerized and charmed by the grandeur of this scintillating museum. Free entry for children 0-17. Free for Museumkaart and Iamsterdam City Card holders. Take a tram from Amsterdam, Keizersgracht (Leidsestraat). 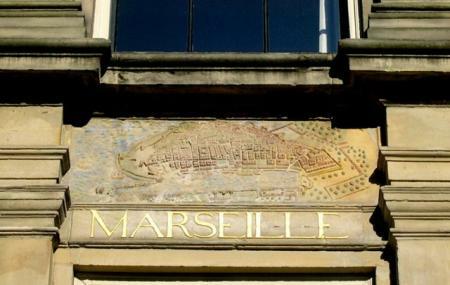 How popular is Huis Marseille, Museum For Photography? People normally club together The Bulldog Coffeeshop Leidseplein and Lombardo's while planning their visit to Huis Marseille, Museum For Photography. Love this place. I’ve been there twice now a few years apart. It’s affordable (less than 10 euros, less than 5 for students). The building is charming. There’s a back garden. Two areas with five floors. The layout is nice, and there’s an elevator. The gift shop also has a lot of beautiful photography works and books, as well as cheap postcards. We bought the Amsterdam card when visiting, so we got in here for free. The place is a maze and it was very interesting to walk through the building to see the photos. Chill in the library or the garden after the visit. The pictures were interesting as well, although a bit more information would have been helpful to put them in context. Really cool museum featuring an interesting selection of primarily African photographers. Introduced me to another world that broadened my view of issues and ideas that these photographers wanted to portray. There was also a very interesting installation that featured black/white manipulated video clips and an ongoing eerie music clip. Very immersive and made me experience feelings that I cannot put into words. Would definitely recommend as this was also a very affordable museum (€4.50 with a student card). Beautiful exhibits in a charming traditional Dutch building. Each room brings its own light and atmosphere which complete immerses you in the artist’s view. The back of the building has a small garden in which you can take a moment to appreciate calmness in a busy day. The museum itself is not as busy as the Van Gogh or the Risjk, so I highly recommend it to people who don’t enjoy large crowds. One of the leading museums of photography in Amsterdam, located in a historic building on the gracht. Very pleasant and inspiring to visit, due to the interesting space and carefully selected exhibits, showing the best in photography rather than catering to the popular taste. Exhibits a wide variety of styles, topics and eras.